THE most common question that we get is…“How do I get started?” Honestly, there is no right or wrong way. We’re here to share what we feel works best when you are trying to clean up your diet. 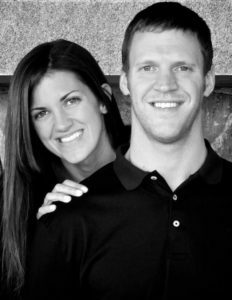 As we shared in our story, my husband, Scott, started working out and eating clean before me. I told Scott that I wanted to be FIT…I did NOT want to be skinny, so he created a workout routine and meal plan for me. I was very excited and decided that I was going to give it my all. I shared my goals with Scott and told him that I was not going to have any “cheats” during those three months. 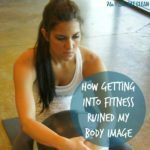 I really wanted to see how my body could change. Those three months changed my life. I was hooked! I am a firm believer that it only takes three months to really change your body! When I decided to start eating clean it was like a switch was flipped instantly. I just decided to do it one day and I haven’t looked back since. I basically just got sick and tired of being sick and tired. Once I decided to change I went through our pantry, refrigerator, and freezer and threw away everything that was not healthy. Once I started seeing the changes (my clothes were too big and my body was toning up) and feeling the difference (I was getting stronger and had a lot more energy) it kept me moving forward. I would love it if everyone was like me and could just “flip that switch” and start living a healthy life. Scott has helped me realize that most people will need to take “baby steps” and make incremental changes. Regardless of which method you choose, the most important thing to remember is that you need to stay focused. You will have some days where you’re just not into it and your progress has plateaued…maybe you stopped losing weight or you are not as motivated to get a workout in…that’s fine, it happens to everyone, but you must stay focused on the goal and that is to live a healthy and fit lifestyle. Too many people think that you can just eat clean here and there and workout on a somewhat consistent basis and you’ll get the results you desire but remember that you get out what you put in! It is also important to note that everyone has their own view of what they consider “eating clean”. Some people will be more strict than others depending on their goals (which is fine). You need to find out what works for you and your body. As long as you are making healthier choices for you and your family – you are moving in the right direction. Another point we would like to share is that you should NEVER EXPECT PERFECTION! You’ll never have a “perfect diet” or a “perfect body”. 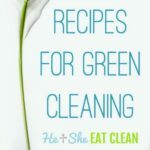 We are still learning more about clean eating…it was overwhelming at first, but, over time, you will figure out the approach that best fits your budget and time constraints. It is normal to be overwhelmed if all of this is new to you! We get this comment a lot: “We are eating the same food over and over again and we are getting bored”. We did the same thing in the beginning. We did this because we didn’t want to spend more time in the kitchen so once we found a few different meals that we liked we would basically eat those every day and experiment with others on the weekends or when we had free time. Once again, do whatever works for you! Don’t give up even if you are getting sick of your food, once you are more familiar with the lifestyle you will start to branch out and try new things! I’m just going to come out and say it…you must get out of the mindset of eating for pleasure. Your body needs food for energy to carry out the complex functions it was designed to do. 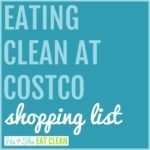 Sure, we love to indulge in some treats here and there, but we have also found certain ways to clean up some of the unhealthy treats that we all love (see the treats/dessert section)! Try it for ONE week. Prep your food and MAKE time to workout. Do not let anyone or anything get in your way. Make time for yourself…you have been thinking about it for so long…what are you waiting for? Once you keep your promise to yourself this week you will be so proud of yourself you will want to do it all over again next week! Take it one week, one day, one meal at a time – whatever it takes – MAKE IT HAPPEN! Join our newsletter and never miss a helpful post! You’ll also get a FREE HIIT eBook! Click here to join now. Decide what meals you are going to eat for the week. Remember to try and eat every 2-3 hours. Write down what you are going to cook and make your grocery list. Designate one or two day(s) per week to prep all of your food (we usually do food prep on Sunday and another one on Wednesday or Thursday). Having food prepped will give you more time during the week to devote to your workouts or just relax! If you prep your food you will always have clean food on hand and no excuse to grab something unhealthy! The lack of preparation is the perfect formula for failing to meet your goals. Know which workout you are doing before you get to the gym. If you are new to the gym, start with three to four days per week. You do not have to live in the gym just make your time there count! Don’t do too much too soon but do push yourself! Make a “date” with your weights and KEEP it! Find a workout plan so that you do not go into the gym completely lost. Review the workouts before you get to the gym. Watch online videos or read how to perform each exercise so that you do not injure yourself. UPDATE: We now have our very own 12-week transformation plan! Write down your goals (live healthier, lose weight, build muscle, run a 5K, etc) and put them somewhere you see them every day! I have mine on the refrigerator. This is going to sound CRAZY but talk to yourself (not out loud, of course)! This has helped me the most. I work in an office environment so, unfortunately, there are always sweet temptations around. I literally talk to myself…I tell myself that it is NOT worth it. That little brownie does NOT control me. That brownie does NOT help me meet my goals. It might taste amazing but that will only last for a few SECONDS! Once again and I cannot stress this enough…take it one meal at a time. Focus on what you can control and don’t beat yourself up over slip-ups! We’ve combined all of our best information and our most popular posts into one challenge! If you are confused about what to eat, how much to eat, when to eat, what workouts to do, etc this is for you! Best of all, it’s FREE! Join our 13 to Clean Challenge today! 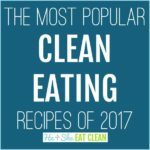 How did you start eating clean? Did you change everything overnight or did you take a more gradual approach? P.S. Last year I wouldn’t even walk into a grocery store by myself, I wouldn’t go near the gym, and I never wanted my picture taken…but that is ME in the picture and I am so proud of how far I have come! Be proud of yourself too! Hi, I visited your site a couple years ago and you used to have an example of what you eat and when you eat it. It was just like a day in the life of your food intake. I was curious if you still had something like that or if I am just not finding it. I love having a type of schedule to follow because I dont eat enough during the day, so knowing when I should break out the veggies or when I should eat a whole meal was kind of nice to just be able to go off. Thanks for all your posts and your real life attitude towards things, it’s very refreshing and encouraging! Yall are great! Hello there! Thank you so much for the kind comments! 🙂 We do have a few of those posts. I’ll link them below for you! I hope this helps, please let us know if you have any questions.